The Global IoT Summit (GIOTS) is an international conference established to attract and present cutting-edge research results on the Internet of Things. 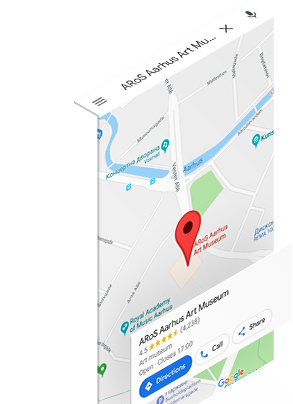 The GIOTS will be collocated with the IoT Week 2019 which will take place in the two official venues: the ARoS Art Museum and the Musikhuset Aarhus. Both buildings are located in the city center, side by side. The ARoS is the main art museum in Aarhus and one of the largest museums in Northern Europe and will host all the GIOTS sessions, including the GIOTS Opening. The Musikhuset is the largest concert hall in Scandinavia, with seating for more than 3,600 people and it will host all the rest IoT Week sessions and workshops from Tuesday 18th to Thursday 20th of June. These two venues are about 55 minutes by bus from Aarhus Airport (AAR) and 35 minutes by taxi. The GIOTS participants can accommodate in one of the hotels placed in downtown with exclusive prices for IoT Week participants. Find more details accommodation in Aarhus. © Copyright 2019 IEEE Communications Society – All rights reserved. Use of this Web site signifies your agreement to the IEEE Terms and Conditions.